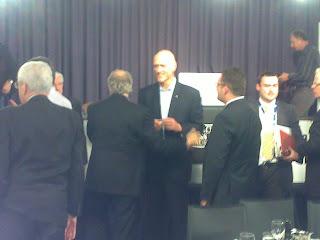 Part of attending the Council for the Humanities and Social Sciences in Canberra (CHASS) was the lunch at the National Press Club where Peter Garrett, Minister for the Environment and the Arts was set to speak. Apart from the pop star status of Peter Garrett, this kind of talk is a normal occurrence in Canberra. Nonetheless, it was an interesting experience in seeing the decline of the representational regime which Canberra as well as other democratic political regimes are structurally wedded. ABC Television was there to make the event part of their program and this meant that the structure of address was towards the television camerai. 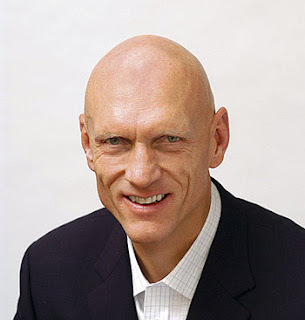 It also led to other restrictions on how long Peter Garrett spoke and who and how many questions were asked. All of these elements were fit into the structure of its delivery to television. What was truly bizarre about the event was the lack of engagement with the Council for Humanities and Social Sciences. All the questions asked at the end of the talk were monitored and delivered by journalists who consistently asked questions about the environment and very little about the talk on cultural policy and the arts. As an audience member I felt quite used. We were the crowd that made the process legitimate and fullsome in its connection to an audience. In actual fact, we were legitimizers of a representational system which structures politicians and journalists in a co-feeding model of mutual though apparently combative support.